We have all experienced addiction at some point in our lives. If you’re reading this and you haven’t, I’m sorry but you’re not human. A few years ago I was completely and utterly infatuated. The lucky recipient of my affections? If you know me you might have guessed… Salmon. But only the raw kind. Oh yes, it just HAD to be raw. And as much as I still adore salmon sashimi, my affections have now turned to another satisfying sea creature… the Oyster. So you can imagine the first thing that went though my head when I booked to go to Dublin and Belfast? No, it wasn’t the fact that I’d finally get to explore Temple Bar, or that I might even see Cillian Murphy roaming the streets (although of course I will forever live in hope of that). No, it was that I would get to eat my bodyweight in delicious oysters. And that I did. But eating oysters wasn’t the only item on the to do list. Pippa and I were there for a day of work, followed by two days of eating, with a half marathon thrown in for good measure. We have compiled a list below of our favourite Dublin and Belfast places to explore. Let us know if you have any recommendations yourselves – when we left, we both said we’re not done with Ireland and already can’t wait to go back. 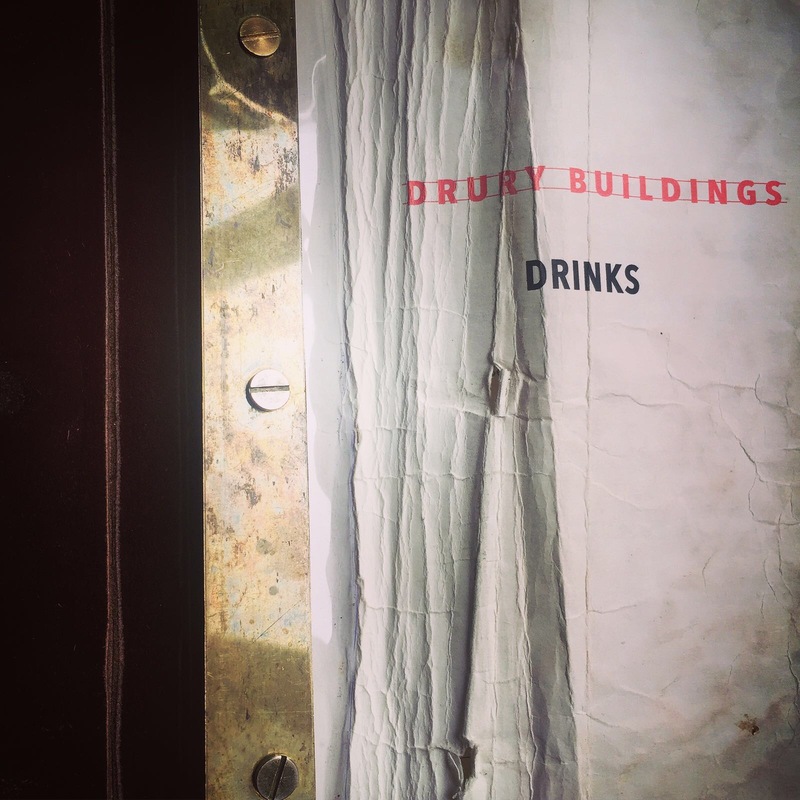 Regularly featuring on Dublin’s best restaurant lists, we headed to Drury Buildings for a quick lunch. The €10 ten minute lunch menu is a bargain. The portions are huge and all pasta is homemade on site, so there is no skimping on quality. The service is also very good – with a Maitre d’ knowing just how to get us to enjoy a quick lunch and a great recommendation for a cheeky glass of red. Here’s where the oyster munching commenced. Situated in a blink and you’ll miss it spot, right in the heart of Dublin, Klaw is one not to miss. 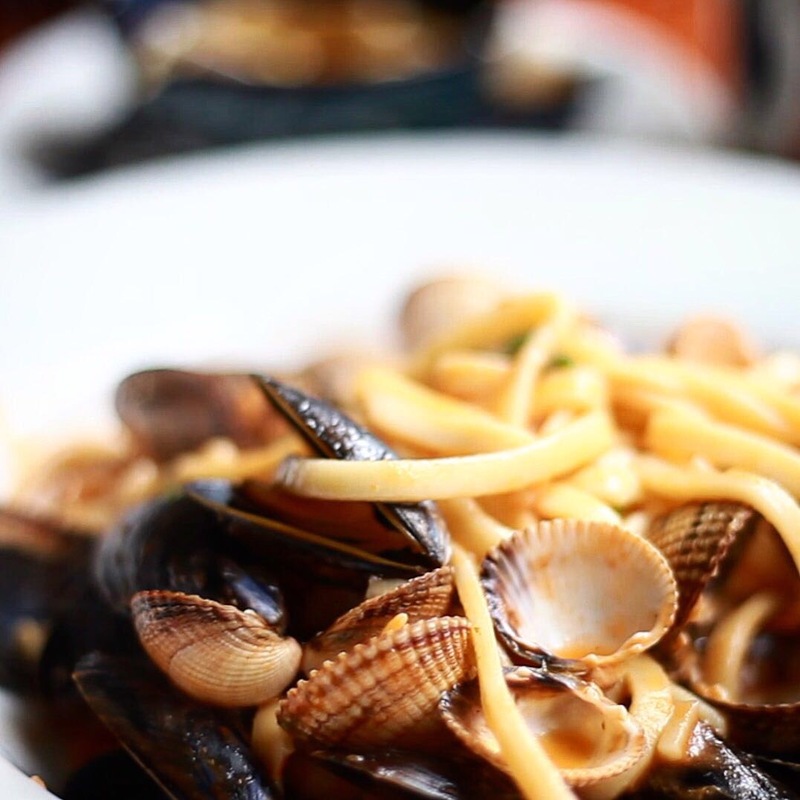 The team prides itself on providing simple, fresh and delicious seafood in a relaxed atmosphere – and I couldn’t agree more. I was very pleasantly surprised by the standard of coffee shops in Dublin – lovely looking independent cafes everywhere. Bleary eyed on Saturday morning, we headed out into the city to find the best coffee Dublin could offer. And we found it. As well as offering expertly made espresso based coffee, there was also a great range of paleo friendly treats on offer. One not to miss for the serious caffeine heads out there. Exactly what it says on the tin. This cute cafe serves a good range of juices, smoothies and healthy dishes. We stopped off on the morning after our Half Marathon for a chocolate peanut butter ball and a coffee. Deans is an institution in Belfast, so it was only right that we give it a go. It was the last place I visited before getting on my flight back to London and I took a chance on the £6.50 lunch menu – with a few oysters thrown in for good measure. The atmosphere was slightly lacking at lunchtime, but you really cannot go wrong at all with the £6.50 lunch menu. The portions are on the small side, but that’s great if you’re not too hungry – otherwise, just get two! With a tagline of’As Belfast as it gets’, Darcy’s is the most famous restaurant in Belfast, serving simple hearty dishes. So it was the perfect option for our post marathon feed. We walked straight to Darcy’s as soon as the race was over and gorged on mussels and burgers. We dined at Edo on day three of opening and there was no way of knowing that it was a new restaurant – except maybe for the smell of fresh paint in the loos! We gorged on oysters (of course!) and steak, which was one of the nicest pieces of rump I had had in a while. The wine list was also impressive and we took advantage of the great value Malbec!